Java by Drew EstateThere are 6 products. 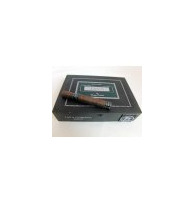 A smoke so kind hearted and warm cannot disappoint even the most fastidious smokers on the market. A smoke so delighting, it'll leave you propagating your imagination with every draw and puff from the legendary Drew Estate Java Corona Latte Cigar. With a sweet mocha java flavor, each Drew Estate Java Corona Latte Cigars will leave your body asking the question, �am I indulging in the sipping of coffee or a puffing of a premium cigar?� Swathed by an enlightened Connecticut Shade wrapper, each Drew Estate Java Corona Latte Cigar is stuffed with a rich blend of Nicaraguan tobaccos that allow the cigar to appear in a soft finish, allowing it to proffer a well balanced, creamy smoke. The Drew Estate Java Corona Latte Cigars are rather mild in strength, and emit an aroma that seduces the senses of even the non smokers around you, tricking them into thinking that your smoke is a special kind of a rather cutting edge perfume. 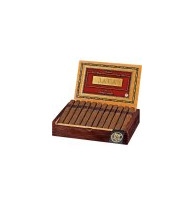 Each Drew Estate Java Corona Latte cigar assumes dimensions of 5�X42, perfect for any fingers! Tobacco General is offering very low prices on this high quality product in order to keep the mind of the consumer keen and satisfied.